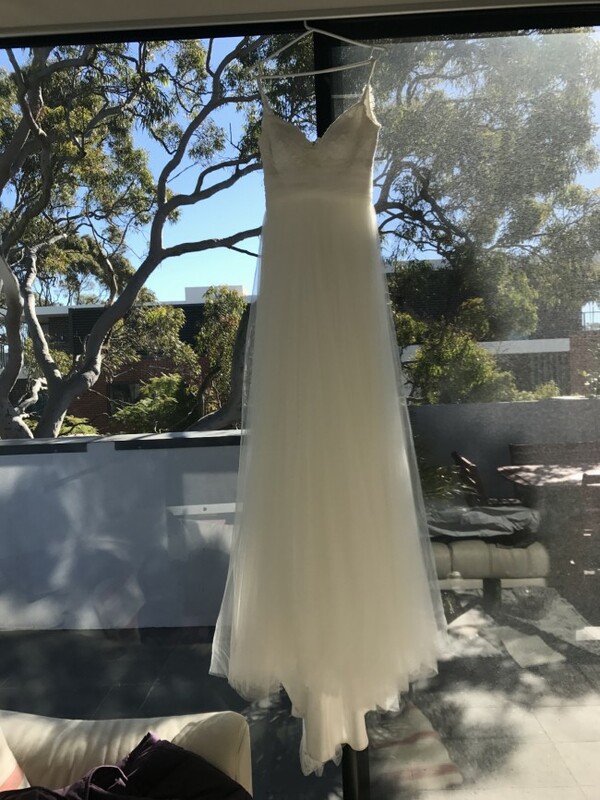 I purchased this wedding dress at the bridal department at David Jones in Sydney city last month (June 2017). What I tried on was actually a sample dress as you can see on the pictures, which was not the one that I purchased. And I never try on the new one that is on hand, nor do I alter it. The reason for selling this brand new wedding dress is that I find it too long to walk easily since I will have a cruise wedding party and it requires something shorter. (I am 50 KG and 163 CM) Also, I am lazy to send it to the seamstress to make the alteration lol... So here we are, hoping this gorgeous beauty can find her perfect master. Just for your information, this dress comes with original David Jones' receipt and a dust bag. It is better to have a try on first at the Bridal department at David Jones or at the Lisa Gowing Showroom if you are not certain about the size and style. This designer dress is available for pick up in Macquarie Park NSW, or can be shipped to anywhere at the purchaser’s cost.